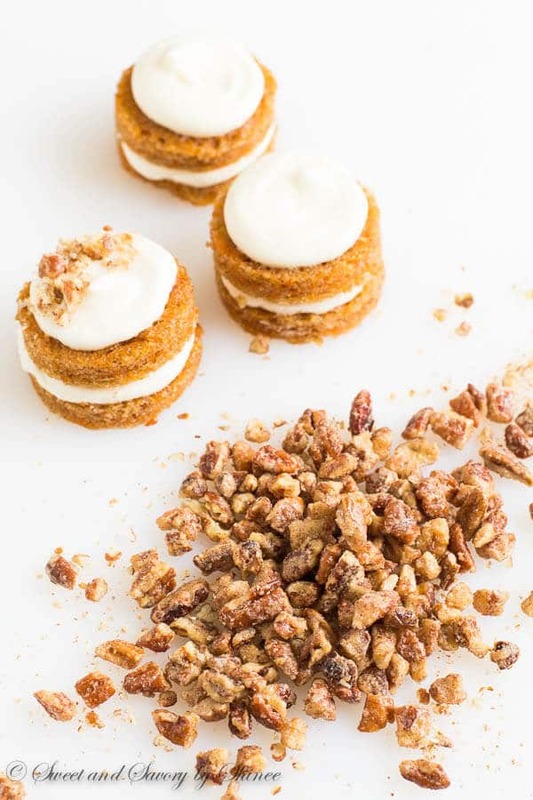 Adorable mini carrot cakes filled with classic cream cheese frosting and studded with crunchy candied pecans! It’s the only way to eat carrot cake! I love cute things! I love mini things! You’ve probably noticed a trend here for mini layer cakes. Aren’t these just the cutest things ever?? And I can’t be the only one who thinks that mini desserts tastes better. You too? ???????? 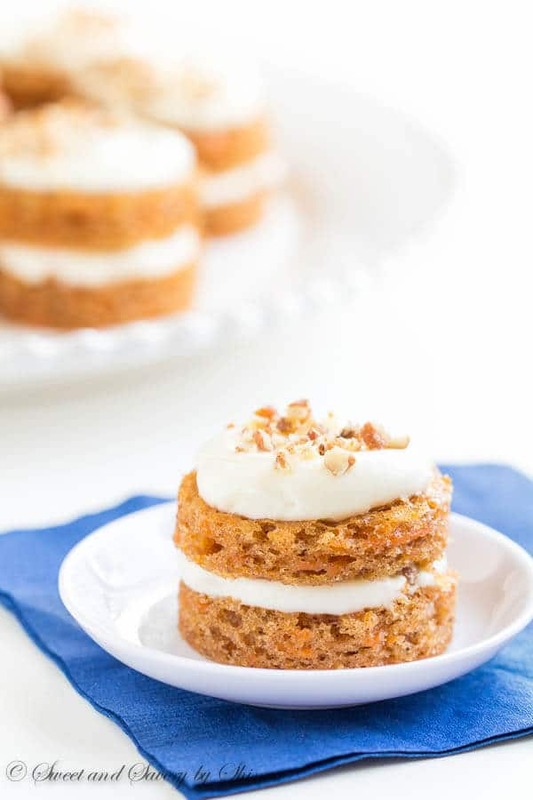 I’ve covered pretty much all things carrot cake in the past. 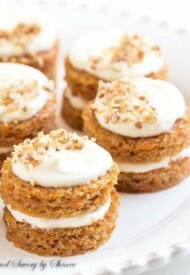 And now mini carrot layer cakes with candied pecans!! Those little gems are what really makes this cake. 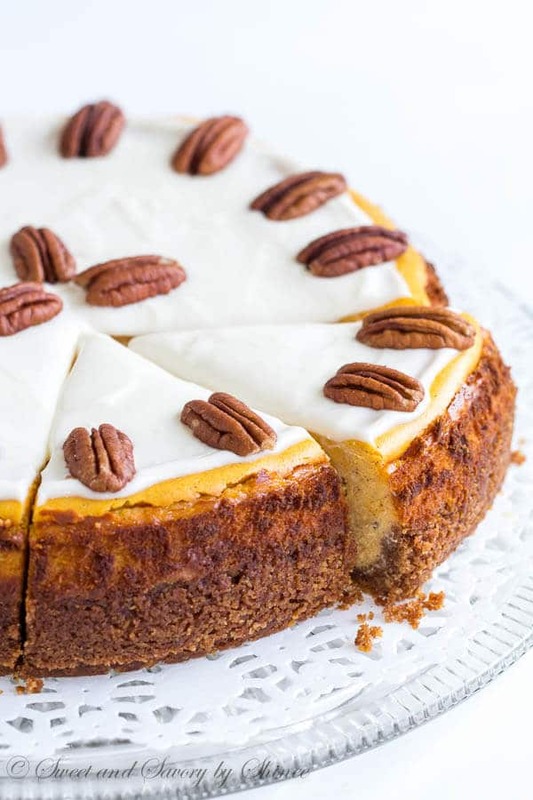 Of course, super moist cake layers with sweet and tangy cream cheese frosting are great and all, but what really makes this cake stand out is those crunchy, sweet candied pecans!! If you’ve never made candied pecans, it’s super easy. You can, of course, use pecan halves, but I had only chopped pecan, so that’s what I used here. I actually found it quite convenient though. When preparing the egg whites, make sure to whisk it until nice and frothy. This way the mixture is light and coats the nuts in thin layer. When baking the pecans, make sure to check on them frequently and give them a good stir to ensure not to burn the nuts. You’ll know they’re ready, when the pecans are slightly browned, dried and crisp. 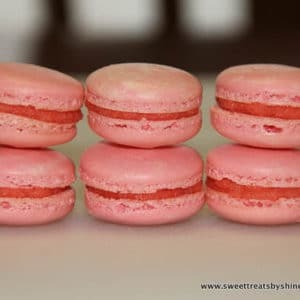 I’d also suggest to make a little (or a whole bunch) more, because you won’t be able to stop snacking on them! For the cake layer, I slightly adapted my Ultimate Carrot Cupcake recipe. The only change I made is that I reduced the oil amount by half, because in my testing, I learned that thin cake layer doesn’t need too much oil to stay moist, or it gets quite fragile to handle. I just freaking adore mini cakes. Did I already mention that? Hope you enjoyed today’s recipe. Thanks for stopping by! To make the candied pecans, preheat the oven to 250°F (120°C). Line a baking sheet with a silicone mat. In a small dish, mix the sugar, cinnamon and salt. Whisk the egg white and vanilla extract until nice and frothy, good 3-4 minutes. (Make sure the mixture is frothy, as pictured above.) Add the chopped pecans and mix well. Using a slotted spoon, remove the nuts and toss the pecans with sugar mixture until the nuts are evenly coated. 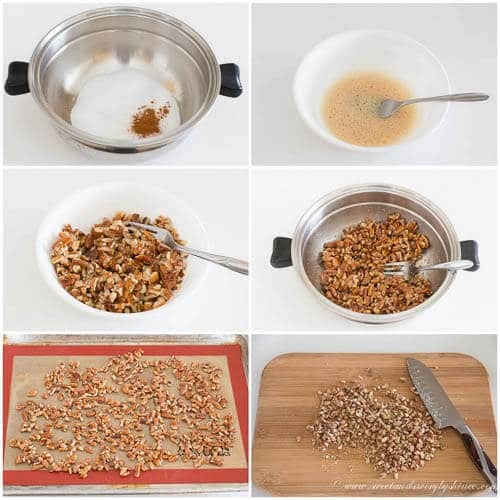 Transfer the coated pecans onto a prepared baking sheet and spread into a single layer. Bake the pecans, stirring and checking every 15 minutes, until the nuts are evenly browned and crisp, about 45 minutes. Cool completely on a wire rack. If desired, you can chopped the candied pecans into even smaller pieces. To make the cake, preheat the oven to 375°F (190°C). Line 17x11in (43x28cm) deep baking sheet with a parchment paper and spray cooking spray all over the parchment paper and on the sides. 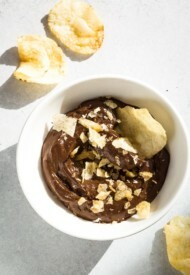 In a small bowl, combine flour, baking powder, cinnamon, baking soda, salt and nutmeg. Set aside. 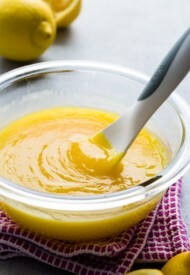 In a mixing bowl with a paddle attachment, mix together eggs, Greek yogurt, oil, sugar and brown sugar until well combined. Add flour mixture and mix just until combined. Don’t overmix at this point. Fold in grated carrots. Pour the batter into the prepared baking sheet and tap a few times to get rid of bubbles. Bake for 15-18 minutes, or until the top is golden brown and inserted toothpick comes out clean. Once the cake is cooled completely, carefully transfer the cake onto a flat surface. 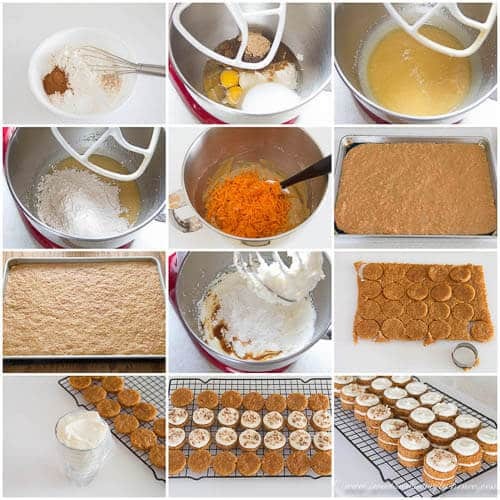 Cut out 2-inch circles using a round cookie, or biscuit cutter. You will get about 35-40 circles, depending how close you cut out the circles. 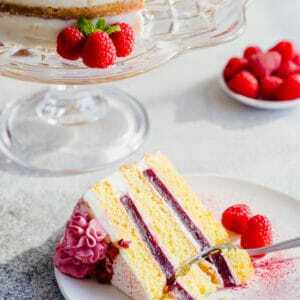 Place the cutout cake layers on wire rack. Pipe about heaping tablespoon of frosting on half of the cake circles. Using an offset spatula lightly spread the frosting and sprinkle candies pecans. Then top with remaining plain cake layers. Frost the second layer the same way and finish with more candied pecans. Store in the fridge, covered, for up to 3 days. Mix the leftover cake scrapes and buttercream frosting in the mixing bowl with paddle attachment, or using a handheld electric mixer, and make some cake pops. *Make sure to use brick cream cheese, not the one in the tub. I love and use Philadelphia cream cheese only. Adapted from my Ultimate Carrot Cupcakes. 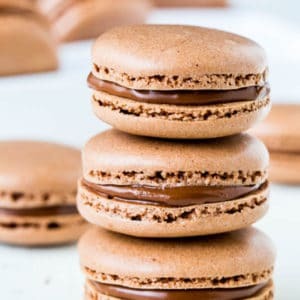 I’ve made these before and they came out perfect but instead of basically make a sheet cake, i could use two round pans and fill them half way correct? Thank you! Hi, Kristina. Yes, you can make round cakes with this recipe. But depending on how big your cake pans are you may need to double the recipe for the batter. This batter will be enough for 1 9-inch round pan. Here’s my layered carrot cake recipe fore reference. Have you ever frozen these successfully? Thinking about making them for a wedding. Hi, Andrea. The sheet cake can be frozen, but I’ve never tried freezing frosted cake. Not sure how cream cheese filling will hold after being frozen. Hi. Thank u for the recipe . I made the cake but instead I cut it into squares and only placed the frosting on top of the cake and still tasted nice. I faced one problem with the frosting . It was too soft and kind of meted so I had to look for another recipe. But overall it was delicious specially the pecan which everybody loved. As for the frosting, what kind of cream cheese did you use? I had that problem when I used an off-brand cream cheese. But I never get runny frosting with brick-style Philadelphia cream cheese. Quick question. Can I make these a day before and if so, how should I store them to keep them fresh? Hi, Sarah. Yes, you can definitely make these a day ahead. You can assemble the mini cakes and refrigerate them, covered. Then bring them to room temperature before serving. This looks amazing! Can’t wait to try it. One question though, how deep the baking sheet is? Not very deep, Fatimah. It’s about an inch. Yay, wonderful! Thanks for letting me know!! These cakes are just too adorable!!! Thanks for linking up with What’s Cookin’ Wednesday! Thank you, Karly! They sure are the cutest! I love mini versions of foods, and these look delicious. Perfect for an Easter party or brunch. What a fun idea. These are beautiful! 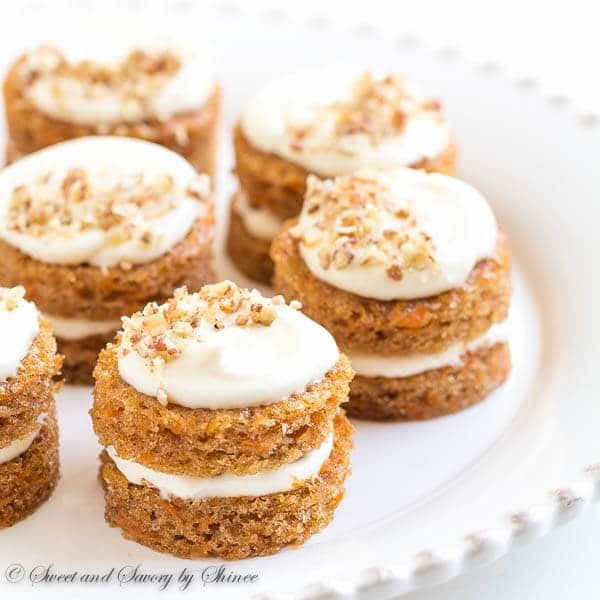 I absolutely love carrot cake…we had it for our wedding cake! These would be so perfect for Easter! Wow, Michelle, what a great choice for a wedding cake! It’s one of my absolute favorites too! Shinee, you certainly checked off all the bases with this beauty! i can not wait to give these a try! 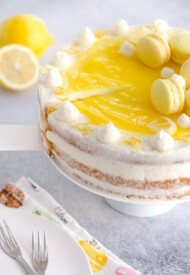 What gorgeous cakes- this would be so cute for a shower! It definitely would be! Thanks, Jessy! Oh YUM! 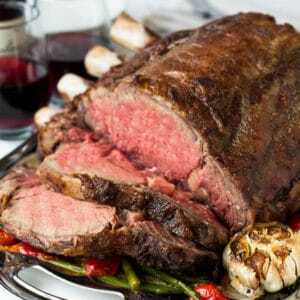 I am seriously so hungry right now!!! Thanks for linking up to Link Party Palooza, I love visiting your site!! Thank you so much, Stephanie! 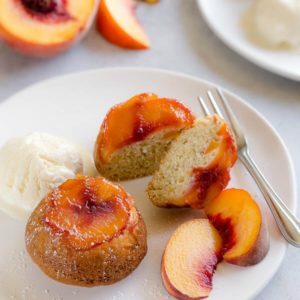 These mini-cakes look so delicious, thank you for the recipe! You make such beautiful recipes. Between this and the carrot cheesecake, I don’t know which one to make first. You should come link these up at Welcome Home Wednesdays. Party opens 7a CST Wed morning! Hope to see you there! These are so adorable! I also love mini things! And I totally know what you mean about being unable to stop snacking on candied pecans. I made some candied walnuts the other day and they’re all gone! Haha I bet those candied walnuts were great! Thanks for stopping by, Claudia!